Collier at the Port Waratah Coal Loader Newcastle NSW 1978. Courtesy of Brian R Andrews. 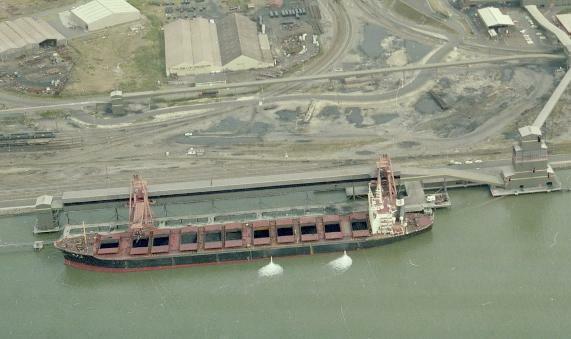 Coal is shipped both internationally and domestically. In the early days of Newcastle coal exports, it was a vital as a fuel source for steam powered locomotives and ships. The Hunter Valley area was often known for coking coal, which was used for the production of steel. Coal is also used for power, and coal power plants are the primary source of electricity in New South Wales.